It’s another GIRL! Today we will tackle GRACE for the first time. This is a quick WOD but will require explosive movement. You MUST maintain proper form with each lift (and descent!). 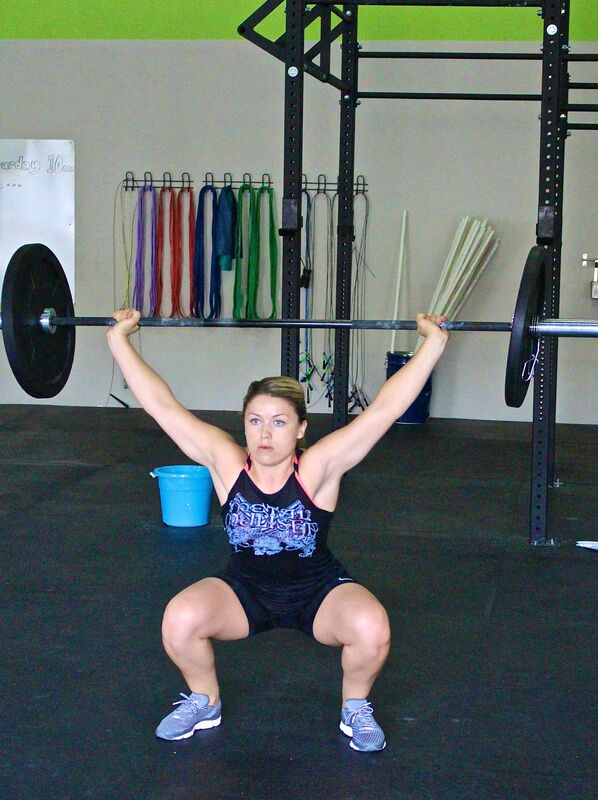 Address the bar properly every time… don’t round the back… use your hips… quick dip and drop under the bar. All the things we review EVERY time when we clean and jerk (but when you are doing 30 in a row sometimes we get sloppy). DO NOT GET SLOPPY! Some tips: Use a hook grip if you can. Don’t forget to use your hips on BOTH movements to work most efficiently. And control your breathing. It’s easy to forget under fatigue, but it’s the basics that will carry you through. If you can string them, great… but do not push yourself to failure. Some great times have been logged with going singles the whole way. Thinking about it as singles with a big deep breath in between is good strategy, as long as you don’t let more than four or five seconds go by in between reps (its easy to talk yourself out of picking that barbell up!). If you’re shooting for sub-5:00, then you have 10 seconds to complete each movement, sub-4:00 is 8 seconds, sub-3:00 is 6 seconds, sub-2:00 is 4 seconds. Give yourself x amount of time for each rep, and stick to it as best you can. Or play it by ear and see how it goes! Just have fun with it! Thanks to everyone who came in yesterday for the Family WOD. It was so much fun and we are looking forward to next Sunday already! Be sure to tell your friends they are more than welcome to join us. And if you want a Murph re-do or do it for the first time, come on in on Sunday for Open Gym. Josh and Drew will be here around 9 to warm up and get going by 9:15/20ish. Or just come in and work on a skill, conquer a weakness and just get mobile! Hope to see you then. 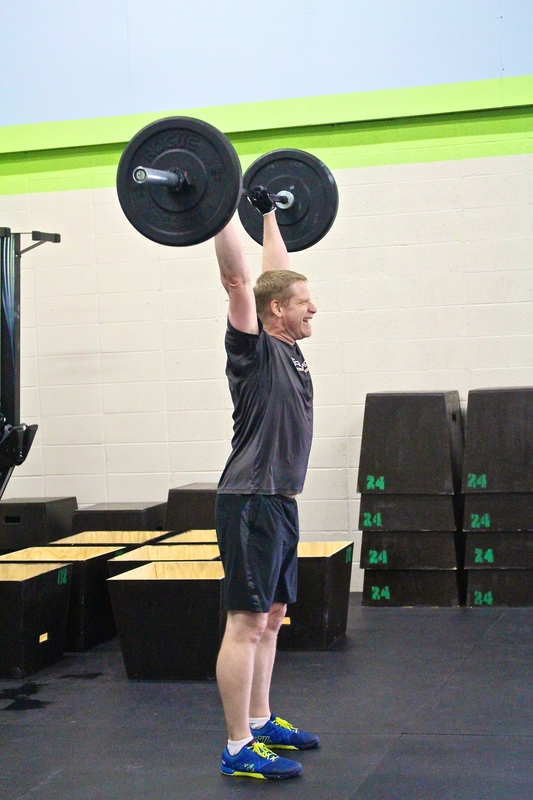 One last reminder that our Family WOD will be Saturday morning at 10a (NO REGULAR WOD AT 10AM!). All are welcome! We will have sitter coverage for the 9am so if you’re feeling bold, come put the kids in the kids’ room and stay for the family WOD. And if you want a Murph re-do or do it for the first time, come on in on Sunday for Open Gym. Josh will be here during open gym doing it and we’d love to give him some company! BRING A FRIEND FRIDAY PARTNER WOD! 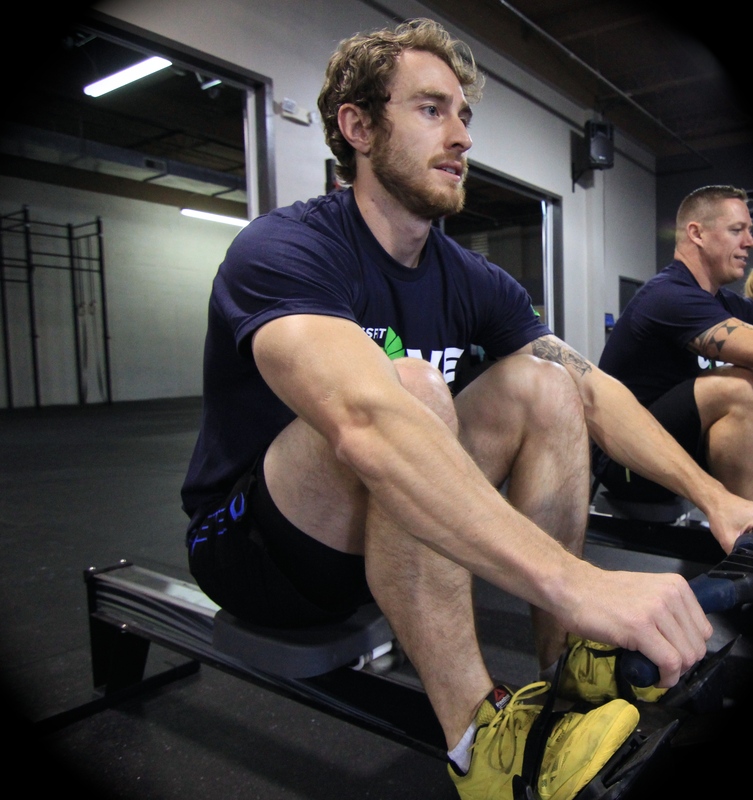 Time for yet another challenging and fun partner WOD! Bring a friend or partner up with another member — either way it will be a blast! 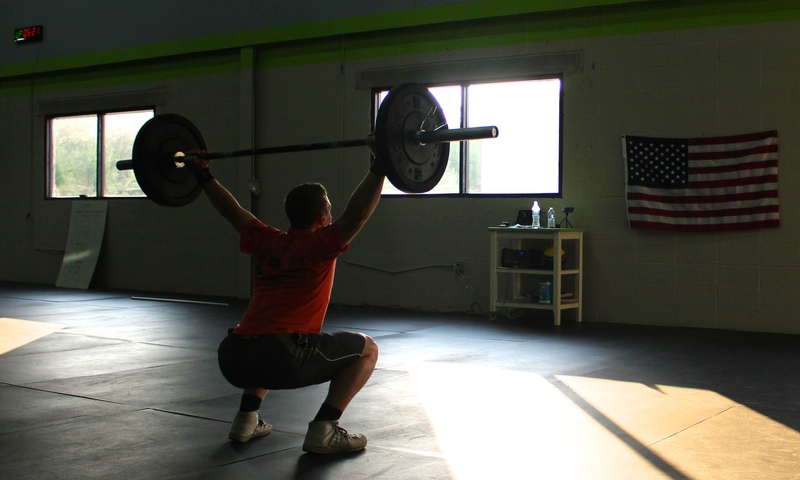 And a reminder that our Family WOD will be Saturday morning at 10a (NO REGULAR WOD AT 10AM!). All are welcome! On Sunday, Josh will be making up Murph (he didn’t get to do with the group on Memorial Day) and we all know that Murph hard, but doing it solo is even harder (right Katie?!). Anyone want to join him? If so, ping us on email and we’ll find the time that works best for everyone. And obviously be careful: drink lots of water (especially the day and hours before), take breaks and know your limits! Here’s Josh working hard on Nancy (just a warm-up for Murph)! 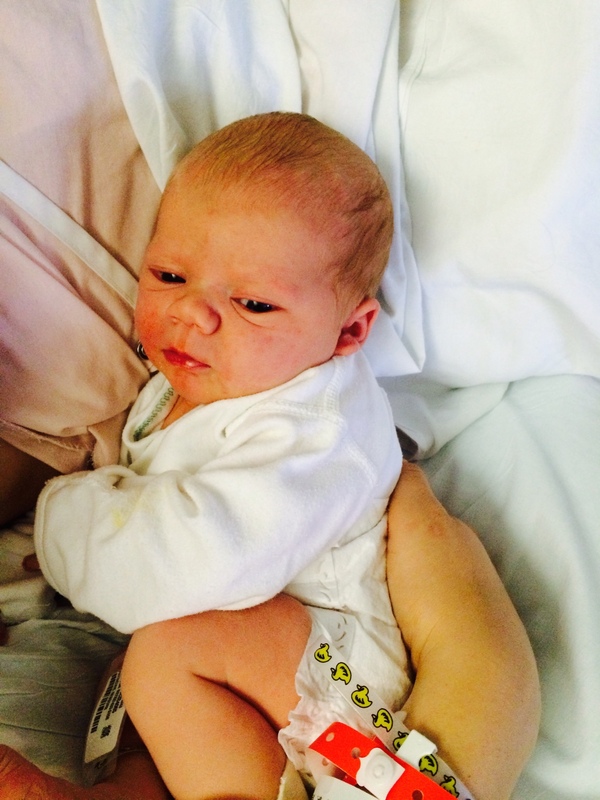 We are thrilled to announce that Pete’s wife delivered a beautiful and healthy baby boy on Sunday! Ashton William Staples is here! With Ashton’s arrival we have a new member of the Cove family (and our median age just dropped significantly). 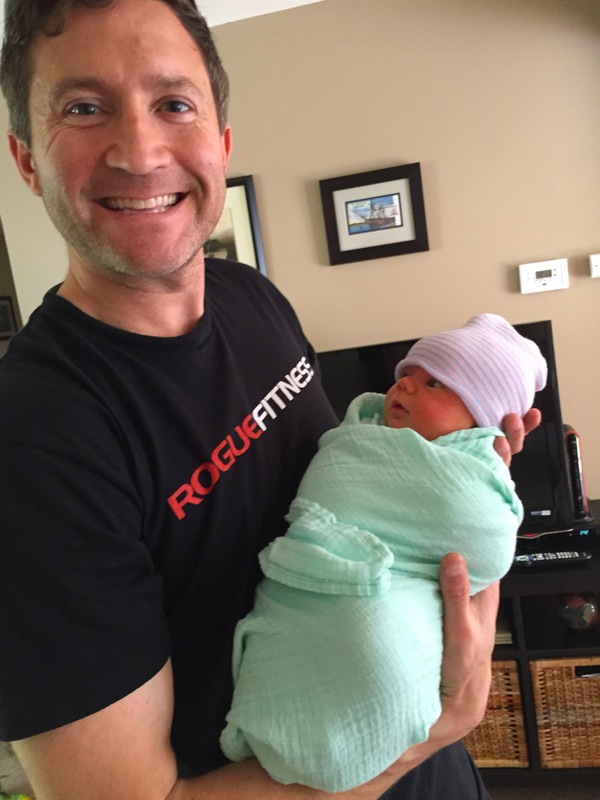 We’ll be planning baby WODs for him before you know it. Pete is currently doing his own version of CrossFit: swaddling AMRAPs and EMOM diaper changes. CONGRATULATIONS PETE!! For the rest of us, its a GIRL!! Tomorrow we will be doing “Nancy”. 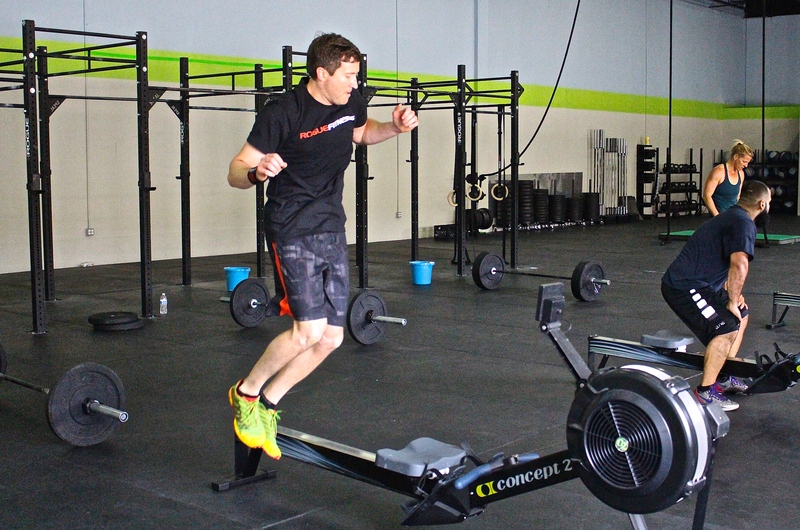 Some of the toughest CrossFit WODs are simple couplets (two movements) of a loaded and unloaded movement. ‘Nancy’ is a perfect blend of a loaded movement and running, but this CrossFit benchmark workout adds a bit of complexity with the overhead squats. Even though the weight is somewhat light for an advanced CrossFit athlete, it becomes daunting as the rounds progress and could put strain on your shoulders if you aren’t in a proper overhead position. Speaking from personal experience, do NOT push outside your limits. I did my first Nancy and went for RX and walked away with a shoulder impingement that last for weeks. If it’s your first time trying this WOD, we HIGHLY recommend scaling the weight down, or even just using a PVC pipe (Yes, really. Just the PVC!). Or if you just can’t get into a safe position, we scale to a different movement with the same overall benefit. Here’s our new Dad Pete sneaking out for a quick sweat… and with very little sleep under his belt, he CRUSHED IT! 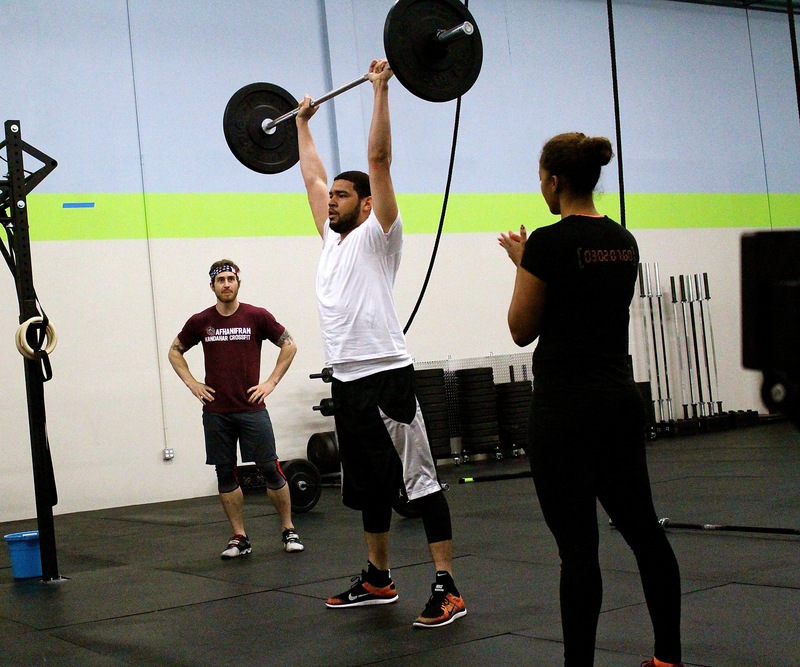 Just a reminder that our FAMILY WOD is this Saturday at 10am! This means our regular WODs will be at 8a, 9a and 11a (with sitter coverage at the 9am class). Come on in with the kiddos and experience a workout TOGETHER. It is best for kids 4/5+ but if you can wrangle your little one, feel free to give it a try. Our goal is to demonstrate that fitness should be FUN and teach lifelong habits of good health by being a role model for your children. Feel free to bring friends if you think they would enjoy it too! In other fun news, we have new T-shirts (men’s and women’s) and tanks (women’s) that arrived today. New colors, new styles… oh, and more protein powder and fish oil too! KATIE: I was born and raised in Southern Arizona and found my way to Maryland by way of Texas, Pensacola, and Iraq thanks to the USAF. I was introduced to lifting by a friend when I was in Iraq, but I never really got comfortable with it. I was afraid to go heavy, and the idea of attempting complex movements like cleans, jerks, and thrusters were out of the question. No matter how hard I tried, I couldn’t seem to really commit to a healthy lifestyle. I would work out regularly for a few weeks, then something would come up and I wouldn’t see the inside of a gym for weeks or months. This went on for years. I knew it wasn’t best approach to fitness. Then, last September, my dad had a heart attack and passed away unexpectedly. He was an amazing man, the kind of person who took care of everyone, but he didn’t take the time to take care of himself. Knowing that the loss of my hero could have been prevented if he had only taken his health seriously made me realize that I need to take this last lesson to heart. 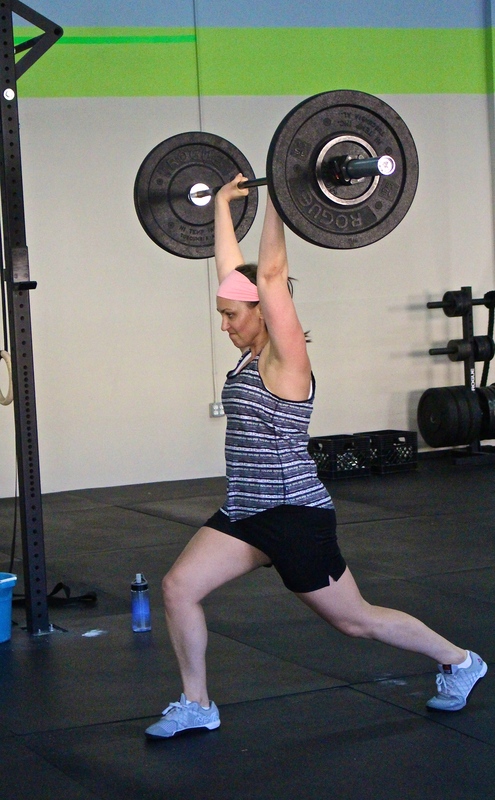 CrossFit has not only been an outlet for my grief, but it has also given me the structure and community I needed to make a real commitment to my health. I really really didn’t want to become the standard ex-military civilian who balloons up after his contract. The only problem is I hate exercise. Like I would rather abstain from everything other than tuna and apples then run a downhill mile. I’m a giant turd deep down, I can go weeks at a time without so much as raising my heartbeat. But Crossfit came along as was like “Hey guy, lets lift stuff and it’ll be fun. Every day is a new and interesting workout, with great people.” And since someone is telling me what to do that day, I won’t just wander into the gym do a set of curls and a set on the bench then meander out, with a strut as if I ran some great marathon. 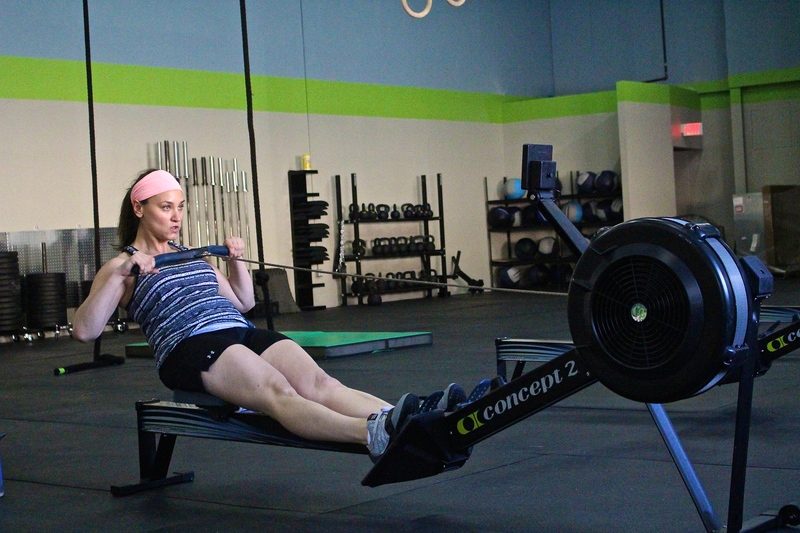 How has CrossFit affected life outside of the gym? KATIE: Since starting CrossFit my energy levels have been through the roof and I just feel stronger. There is something about being physically strong that bolsters your confidence in every arena. I am less timid in meetings and feel more comfortable in my own skin. CHRIS: Real talk, Every time I use a urinal I have an irrational fear that someone will sneak up behind me and use my moment of weakness to burgle me. But after doing CrossFit I feel confident that I could use my clean and jerk training to deliver a devastating uppercut elbow. What changes have you notices since starting CrossFit? KATIE: Crossfit has helped stabilize my moods. I firmly believe that stressing your body with exercise in a controlled environment like CrossFit teaches you how to deal with the other stressors life throws at you. The endorphins also help by giving you a boost when you need it the most. CHRIS: My triceps, I’ve never been able to get “the horseshoe”……right now I’m sneaking up on it slowly but surely. 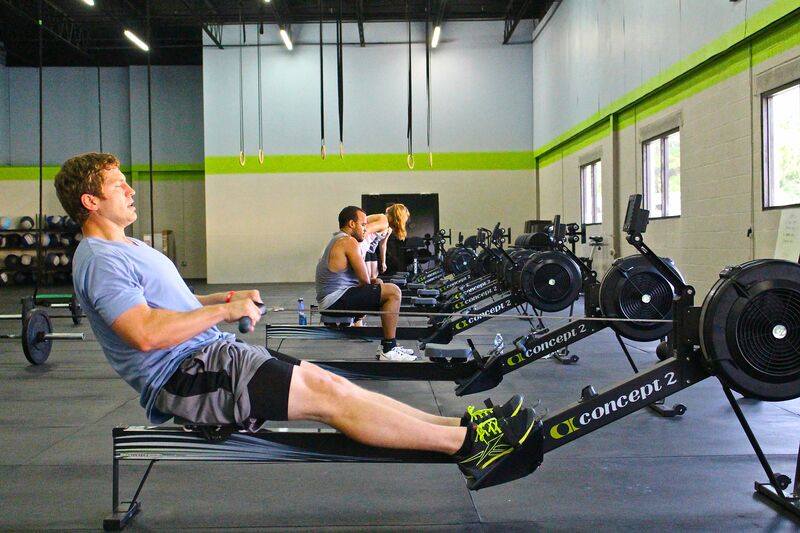 How has CrossFit affected your relationship? KATIE: It has giving us a common goal to work toward. We talk about the workouts ahead of time, plan our meals around our time at the Cove and our diets have definitely improved. It’s also nice to be able to really relate to and understand the victories we are always achieving in the box. I can tell Chris “congrats on beating that boss” in whatever video game, but I know it just doesn’t carry the same weight since I don’t play. CHRIS: It’s cool to have something to do together every day, besides the usual “What do you wanna watch tonight?”. It’s kind of like every day we are that couple from the movies where they get trapped on a broken elevator, a cabin that an avalanche buried, or in some other terrible situation and they come out of it madly in love. Only through our suffering can we get closer. What do you love most about working out together? KATIE: You know the saying “You’re your own biggest critic”? This certainly applies to me. I have days at the box when I don’t lift as much as I’d like to, or I don’t move as fast as I think I should be able to. It’s really nice on days like this to have my biggest fan by my side to help keep me balance. CHRIS: Definitely knowing that there is always back up. The worst part about working out is those days when you just have nothing in the motivation tank and would rather be lazy and call it in. Having someone to share the pain before, during, and after keeps you honest. On days when you work out separately, do you talk about it? KATIE: YES! If Chris does a WOD before me I am always pumping him for details so I can try to prepare myself for what is to come. Or, if I go on a day that he takes off, I can’t wait to get home and tell him about how I did. I love sharing my successes and failures with him! What do you enjoy about The Cove? KATIE: I feel like I could write a novel about the people at the Cove. The community and the coaches are wonderful. As soon as you walk in you are welcomed and part of the family. It is such a diverse group of people, but we all share the goal of self-improvement. There is nothing more motivating than hearing a buddy cheer you on when you want to quit and nothing more valuable than that coaching tip given at exactly the right moment. Outside of the people of the Cove, I have to say that I love overcoming self-doubt. Seeing a WOD, a lift, or a movement and thinking “There is no possible way!”, then getting down to business and getting it done! I am constantly challenging myself and seeing growth. CHRIS: Goodness gracious, everything just everything. But if I had to pick just one thing. I love the coaches, like if Brian/Eric/Chris/Luke ever need a kidney or something I’m all over it, Marina you get my heart 😉 It takes a special kind of amazing to get me to look forward to doing anything other than laying on the coach with my dog. And the coaches somehow do it day after day. Any advice for people who are just getting started with CrossFit? KATIE: Embrace the culture of CrossFit and believe in yourself. You don’t have to be the best in the box, you just need to give it your all! Everyone is incredibly supportive, and as you start to hit those PRs you will see that they are almost as excited for you as you are! CHRIS: Buckle up, you are gonna be twenty kinds of sore that first week. As most of you know, this is Coach Luke’s last week before he moves to Georgia. We are so happy for him and the next chapter of his journey, but obviously so sad to see him go! We want to thank Luke for his commitment to the Cove and all to of our athletes – his ability to break apart movements and perfect the nuances of key exercises in unmatched. And his love of CrossFit is palpable. Monday will be his last day coaching and we thought it would only be fitting to do a WOD in his honor. This workout is one of Luke’s favorites and chock full of movements that he loves. He will be taking the 5:30 class and coaching the 6:30p and 7:30p classes so please come on in, have a great workout and wish him luck with the big move! So thankful to have had Coach Luke at the Cove… he will be missed! Lots of great things happen when you put the time in on a movement or skill. In the last two days Martine got her first full rope climb ever and Stephanie and Simone rocked their first kipping pull ups. So come on in and work on that weakness and turn it into a strength! In other exciting gym news, Char Daé and Jason are getting married this weekend! When you see them give them a huge congrats… and expect a change on the Whiteboard as her new last name will be Love-Jones! Here’s the bride cheering on her now husband during 15.5! Today we will doing a version of the hero workout “Randy”. Randy Simmons was a 27-year LAPD veteran and SWAT team member that was killed in the line of duty. His workout was featured this year at CrossFit Regionals. Here’s a video of some of the athletes doing Randy in the South Regional. The good news for us is we don’t have a 50 meter and the bad news is we added some air squats to keep it spicy! 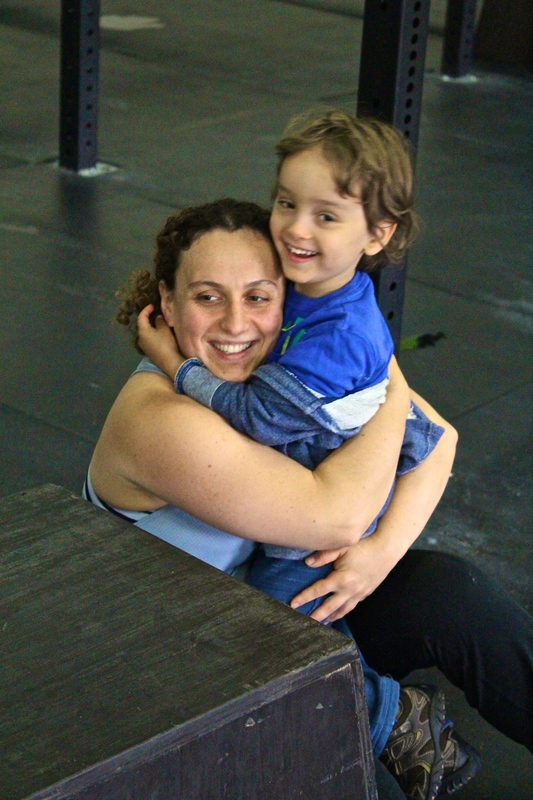 Reminder that our Family WOD is next Saturday at 10am! These two will be there!